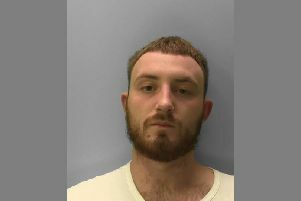 Three men have been arrested by detectives investigating the stabbing of a man in Hastings in the early hours of Sunday morning (November 11). The man is still in hospital but his condition has improved and is described as stable and no longer critical. The men, aged 25, 19, and 18, were arrested at different locations in East Sussex today (Monday, November 12) on suspicion of attempted murder. The three are currently in custody for interview and further enquiries. The 33-year-old victim was attacked in Trinity Street around 1am on Sunday. He had previously been socialising in the town and is known to have had a verbal altercation with a friend outside the Brass Monkey before both went to the Safe Space shelter at His Place church.